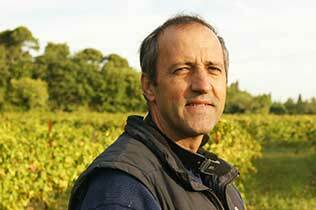 He is one of the precursors of natural wine, the R.V.F. describes him as "a 52-year-old troublemaker, with 14 hectares at his head who produces superb, complex and original wines of great finesse". 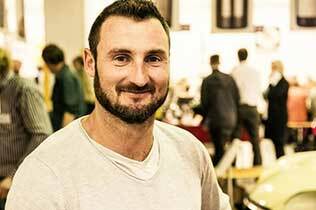 After the BIO certification in 2009, Marc Castan decided to leave the cooperative cellar to start producing his own vintages. 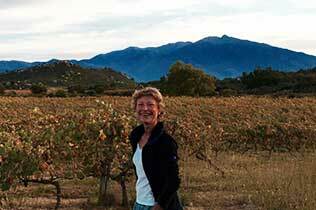 It is already one of the spearheads of natural wines and undoubtedly a future great name of Languedoc. In a few years, Domaine Bobinet (Saumur Champigny) has made its way into all the good cellars and particularly into those who love natural wines. 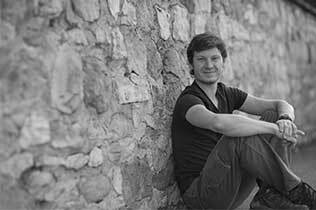 Sébastien is a bold and creative winemaker who always manages to surprise the most experienced oenologists. Born of a desire for innovation and an immense desire for freedom, the Vignoble du Rêveur is a new chapter in the history of the Mischler vineyard, the estate of his grandfather and his maternal uncle. The vines are worked in BIODYNAMIE and the wines are vinified with no or little sulphur. 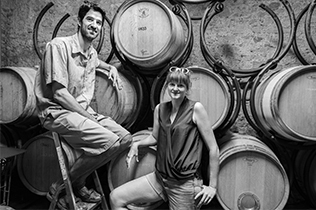 In 2014, Anne-Laure and Julien took the risk of taking over the family vineyards to create a new estate entirely in biodynamics: Le Clos des Pères. A profitable choice and quickly rewarded by obtaining two stars in the Hachette Guide for the Le Rouge des Vents cuvée. France Crispeels recently explained that "What brings us together with wine is memory". And believe us, you must make a place in your memory for the natural wines of this vineyard. How long has this phenomenon existed? "Long live natural wine! ». Do you know how old this slogan is? One would be tempted to say the late 1990s, wouldn't one? Well no, this one dates from 1907 and was pronounced in Montpellier on the occasion of the Languedoc wine growers' revolt. Indeed, in France the years 1903, 1904 and 1907 were years of great strikes by wine workers. The trend of natural wine is therefore not at all new, it is an old claim of the wine world. Even then, some winegrowers wanted to offer wines produced solely from grape juice and without the addition of artificial substances. But what exactly is a natural wine? First of all, it should be noted that officially these wines, which some characterise as "living", "pure" or "naked", do not exist insofar as there is no logo, texts or codes that are legally binding. Thus, natural or natural wines only respond to a philosophy and doctrine that some winegrowers have decided to adopt. There is indeed a charter of natural wines which has been adopted by about fifty winegrowers grouped within the Association des vins naturels. The desire of these producers is to recover the original expression of the terroir in which their vines are planted. But this charter cannot be considered as the universal definition of natural wines, it is only a consensus that has been found between the people gathered within this association. This charter therefore lists the various elements that must be respected in order to qualify, in their opinion, your wine as a natural wine. First of all, for the sake of simplicity, we can define a natural wine as a wine that is governed only by the laws of nature because it is the non-interventionist or little interventionist character in production that is put forward by its defenders. Little interventionist because the winegrower still plays a role as an accompanist in the development of his vines and grapes. In more detail, a natural wine is a wine to which no inputs are added during the cultivation of the vine and during vinification. In short, the "rules" that must be respected to be able to speak of natural wines are organic or biodynamic cultivation, manual harvesting, the use of indigenous yeasts during fermentation, an environmentally friendly way of working, the use of no oenological inputs during vinification (only sulphur is allowed but in homeopatic doses). It is this question of the use of sulphur that is the most important and essential to be able to talk about natural wines and not only organic wines (sulphur is a chemical compound that allows wines to stabilise and preserve themselves). But what is the difference between an organic, biodynamic and natural wine? First of all, we can say that natural wine is a wine that combines these two methods and goes even further. Indeed, the rules of organic viticulture are applied: no pesticides, weedkillers or chemical fertilizers are allowed and harvesting must be manual. Thus it is at the level of winemaking that the real difference between all these wines and natural wines is made because the desire to let nature take back its rights that was started in the vineyard continues during the elaboration of natural wine. Winegrowers prohibit the use of chemical inputs and techniques that aim to modify the original juice. However, some winegrowers (most of them in fact) still use sulphur but in very small proportions compared to other categories of wine because "zero sulphite" requires a very high level of production control. 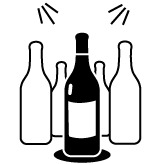 For example, for red wines, the maximum sulphur dose used for plain wines is 30mg/litre while for organic wines the limit is 100mg/litre and for conventional wines to U.S. standards 160mg/litre. As you will have understood, natural wines are living wines and here the proverb "always the wine feels its terroir" takes on its full meaning. Thus their tasting can only surprise and amaze you. First of all, it is important to be aware of the fact that the low dose of sulphur present in wine amounts to considering natural wines as fresh products that must be kept at less than 15 degrees to avoid resuming fermentation or aromatic alterations. It can also happen that the wine sparkles slightly when tasted directly after opening the bottle. This is because some winegrowers add or leave CO2 in the bottle to protect the wine as they use little or no sulphites. It is therefore advisable in this case to put the wine in a decanter and shake lightly to allow the CO2 to escape. This will also allow it to get airy and be better. One of the other aspects that may surprise his wines is their taste. 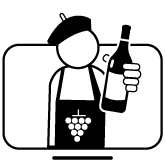 Indeed, some natural wines may have unpleasant odours, known as "reduction" odours. These smells are due to the fact that the wine lacks oxygen. Thus a small passage in a carafe will allow the wine to aerate and therefore its unpleasant odours to fade. Finally enough theory and talk, as they say "the truth is at the bottom of the glass" and the best way to get your own idea of natural wines is to taste them of course. Even if you may be confused at first glance, the unique experience that awaits you promises to be full of surprises, trust us!